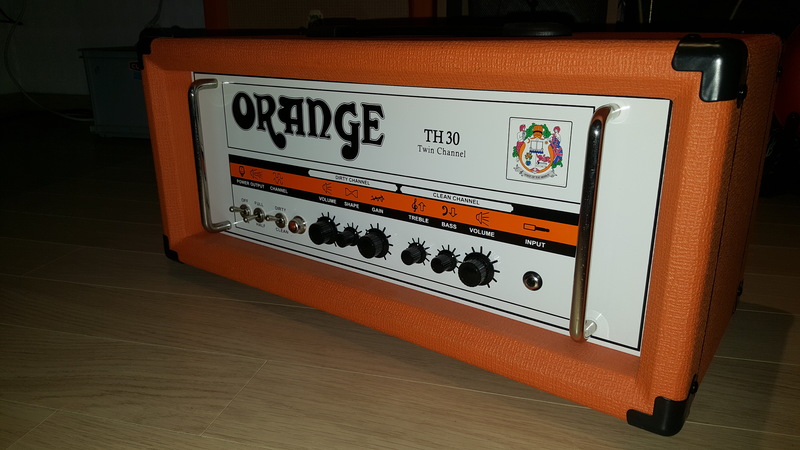 TH30 Head, Tube Guitar Amp Head from Orange in the TH series. yoTrakkz's review"nice and easy to use"
The effects loop on the Orange Thunder 30 is very transparent, which is nice. The amp seems a little more susceptible to hum from a dirty power source than other amps, so you may want to get a power conditioner. Otherwise, it's pretty quiet. The clean channel starts to break up around 10 o'clock, depending on your guitar, which means that you can only go that loud for totally clean sounds. A bit of a bummer, but not a huge deal. As I said, I wish it had a presence control--it's not a bright amp and the treble control doesn't seem to boost much (though it can cut a lot if you need it to). Might also have preferred an amp with separate mid and bass controls, but that would have cost a good deal more. You can always add an EQ pedal if you want more control or brightness. The amp is very punchy and just overall such high quality that I would much rather put an EQ pedal on it than have bought a Mesa that comes with all those knobs. Generally, though, two tone controls is enough for me. The dirty channel packs all the tone you need into one knob. It's pretty incredible. Probably not the most flexible amp, but you can get all the gain you'd ever need and it can be either scooped or relatively flat or all mids, so there isn't much need for another knob, in my opinion. I also like dialing back the volume on the guitar a bit while on the dirty channel--kind of a gritty, lo-fi sound that I really dig. Overall, it's a solid amp that sounds great. Not the most flexible, but if you're like me, the reason you like an amp like this is because it has so few knobs. The less you have to fuss with, the less you have to worry about. This amp is a keeper. 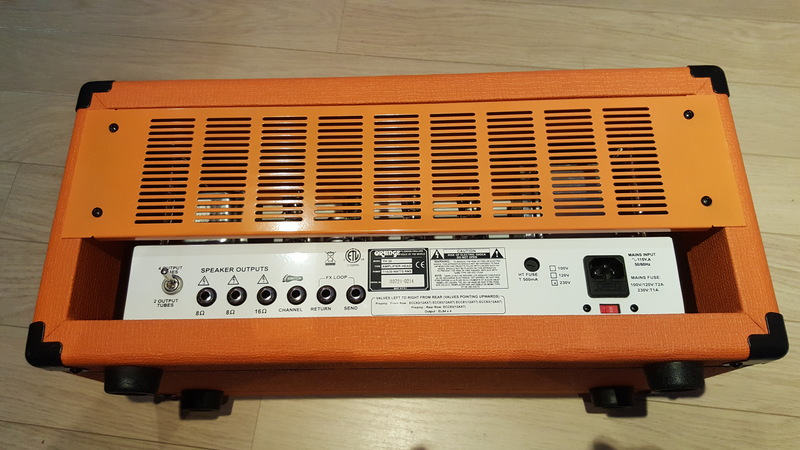 Orange has been building high quality amps now since the 60's. they claim that they are the Marshall killer. They certainly do have a great tone to their amps and you don't have to get the thing modified. So maybe they are a Marshall killer but any company that uses another company to claim what they are is still only second fiddle. This amp has two channels and a basic Eq sweeping control section. You get the basic setup like an old Fender amp. You will be be missing the middle control knob like you would see on many Fender amps. You also don't get a presence control knob which many amps do have to allow you to shape the tone depending on the room that you are in. 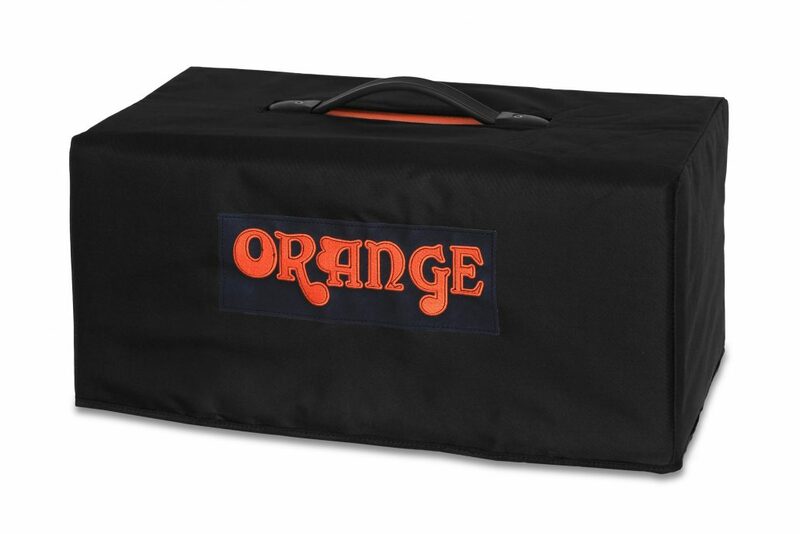 This amp is the exact same amp as the orange tolex version but just in a cool looking black tolex covering. This makes a cool looking amp that will match other speaker cabs much better. Same features and tone as the other just a cosmetic change. The tone of this amp is very good. It defiantly has a vintage feel to it. You get the controls set up much like a vintage amp where they didn't have a midrange control knob a lot of times. So the clean channel does not have that but the gain channel has a shape knob that changes the midrange a little bit. So you don't really need it in the clean channel but the gain does make up for it. This amp is really a vintage style amp through and through. You get many of the features and the basic overall tone is very vintage feeling. You can find these amps pretty easily online or in many shops where you would buy other similar products like Mesa Boogie or Marshall. These amps come in new right at around $1200, which is a great price for this kind of quality amplifier. I would recommedn this to any player that needs a great sounding and high quality vintage style amp that is 30 watts and two channels. this is good players amp and will serve its owner quite well night after night of gigging. You get a solid tone and very usable front panel to dial in the perfect blend of channels. This amp has two channels and a basic Eq sweeping control section. You get the basic setup like an old Fender amp. You will be be missing the middle control knob like you would see on many Fender amps. You also don't get a presence control knob which many amps do have to allow you to shape the tone depending on the room that you are in. shaps's review (This content has been automatically translated from French)" amp addictive"
I could optimize this amp by using a EHXAY7 in clean, the rest will be JJ tesla, demonic power is a 2x12 Celestion g12 heritage, using a NOVA SYSTEM in excellent effects loop. I do not use equalizer, while at midday the sound is. The variable power can play his studio to the average concert halls, without worry. simple configuration for lazy like me, this Orange eat all the pedals without problem, as long as you place them. It also respect the sound of the guitar. The clear, which is the recipe (ax7ay7 in clean and split the gibson LP), to its monstrous distortion very easy to get, I walk all the records of old school rock. I love U2 play well also with delays, rev etc that standarts ZZ TOP. Contrary to some opinion, the TH30 is very versatile, especially associated with a good pair of Celestion greenback. The sound is more modern with V30 I liked least. After years of VOX AC30, this transition ORANGE for 2 years, it turns very robust since used daily or ERfKE 40 concerts, just a change of control without bias .Of lamps more versatile than AC30, and cheaper, I do it again this choice because he never betrayed situation. 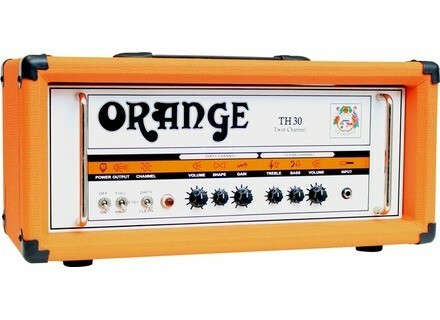 Orange Amps launched the new Thunder 30 combo and head to replace the Rocker 30.